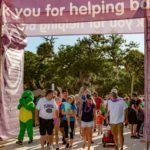 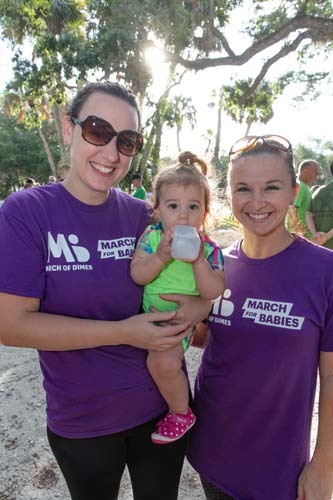 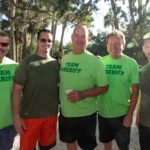 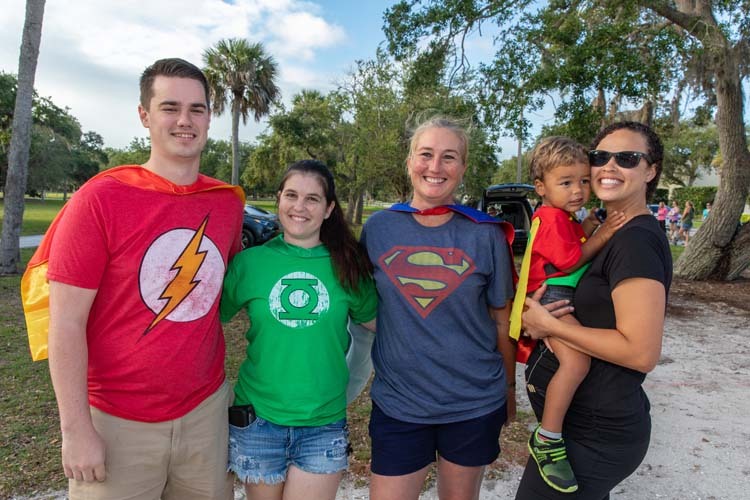 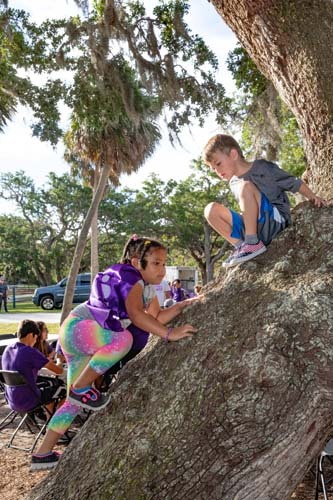 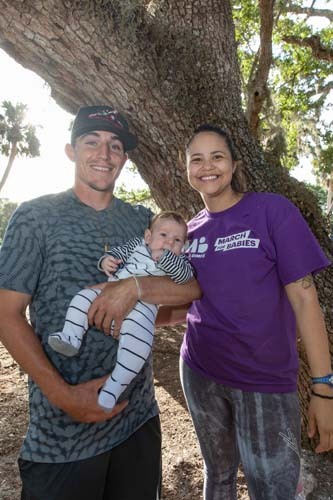 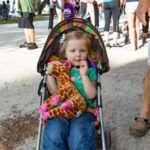 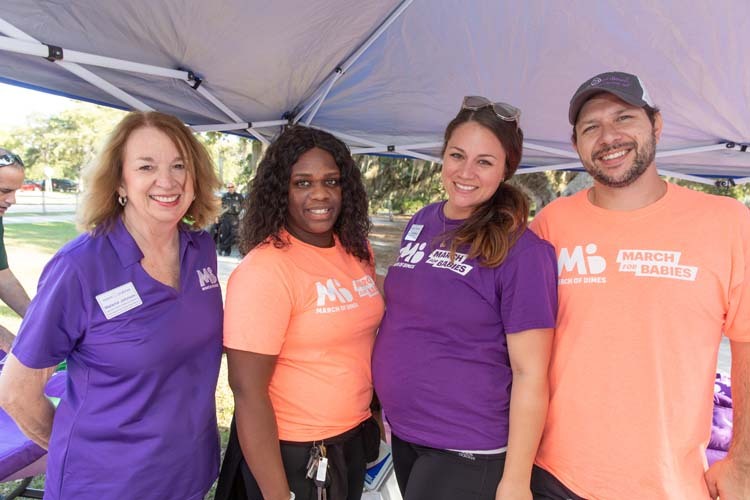 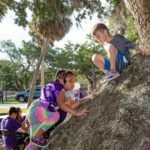 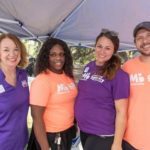 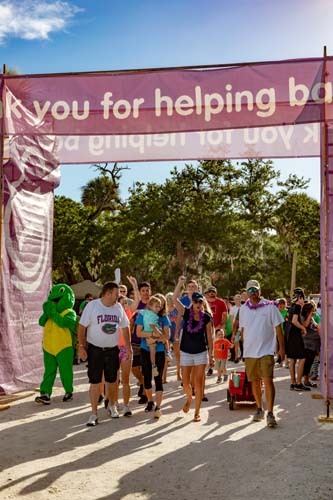 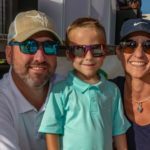 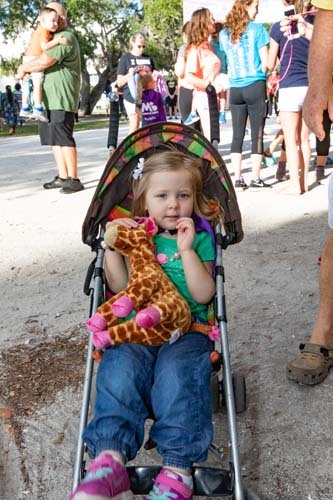 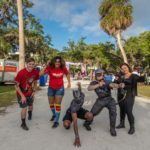 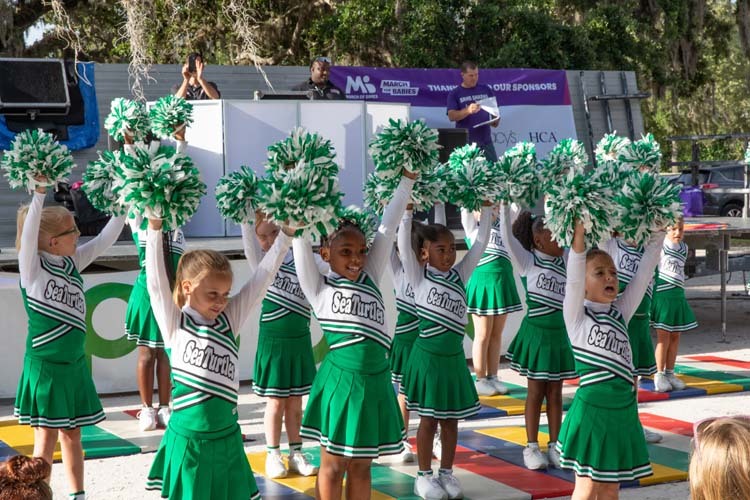 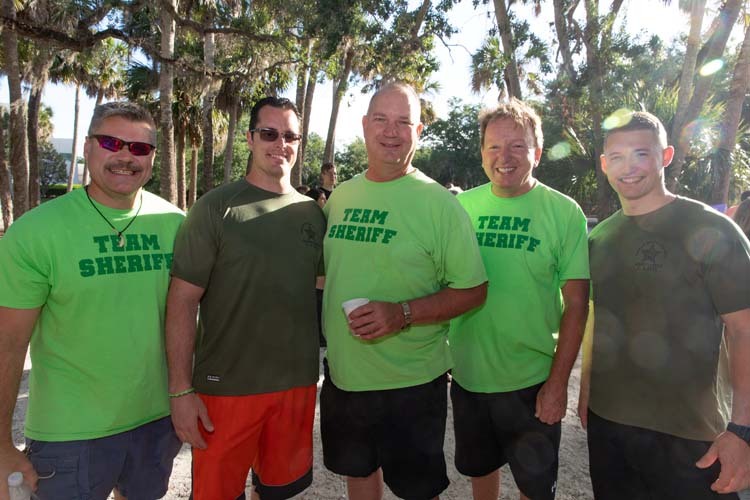 Individuals and teams of participants laced up their tennies to support the teeniest among us last Saturday at the March of Dimes’ annual Indian River County March for Babies at Riverside Park. 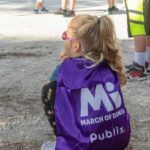 After achieving advances in the prevention and treatment of polio, the March of Dimes, founded by President Franklin D. Roosevelt in 1938, turned its focus to the prevention of birth defects, infant mortality and premature birth, currently the No. 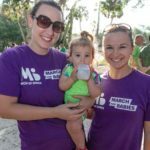 1 killer of babies in the United States. 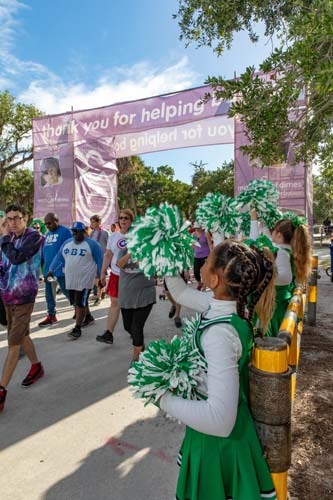 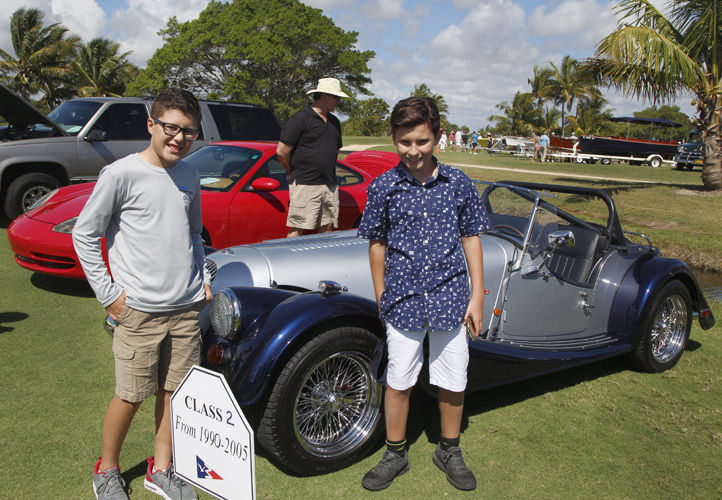 Many of those who walked Saturday had first-hand knowledge of prematurity through their own personal experiences or those of friends and family members. 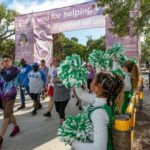 All have embraced the mission to support mothers and babies from preconception to post delivery in an effort to spare other families the difficulties associated with prematurity or, worse, the devastating loss of a child. 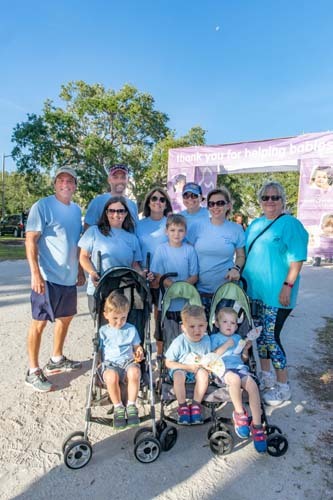 Carie Robbins, whose son Dru was born at 25 weeks, and Kari Palmer, whose twins Collin and Connor were born at 30 weeks, were walking with supporters of their Warrior Dream Team. 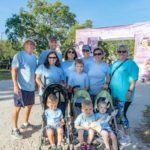 “We march for families that have to walk the halls of the NICU,” said Robbins, referencing the acronym for the neonatal intensive care unit. 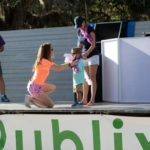 “We both have been NICU moms and it strengthened our bonds,” added Palmer. 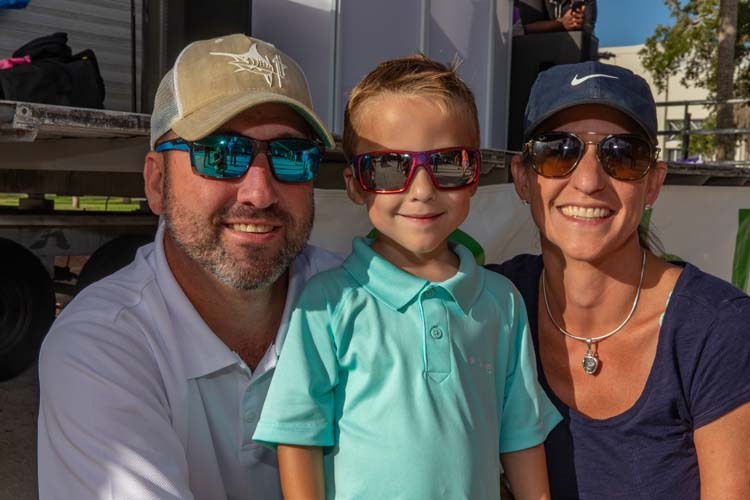 Michelle and Dean Cambron and son Carter were this year’s ambassador family. 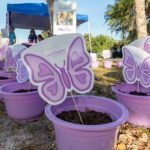 “As many of you have noticed, we have a continued theme of telling stories through three words: hope, remember and celebrate,” said Michelle Cambron’s sister, Brooke Flood, a MOD volunteer spokesperson. 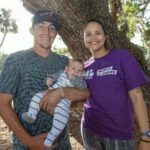 During an emotional Lei Ceremony, purple leis – symbolizing strength and support – were presented to NICU parents and children, and white leis were presented in remembrance to families who were not as fortunate. 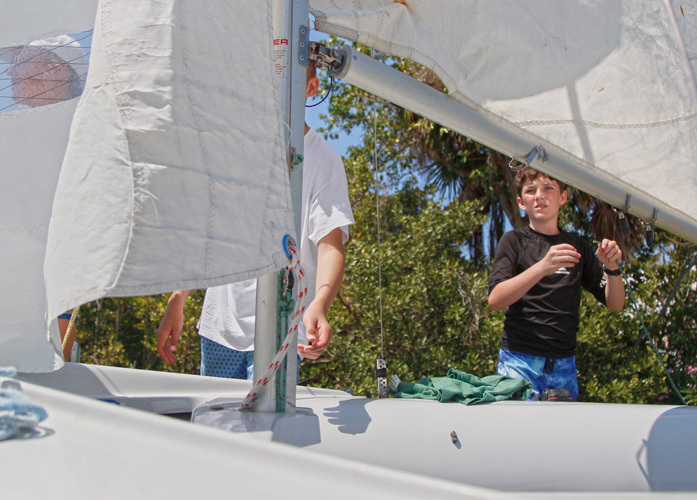 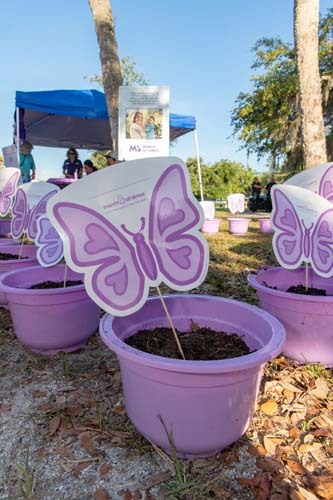 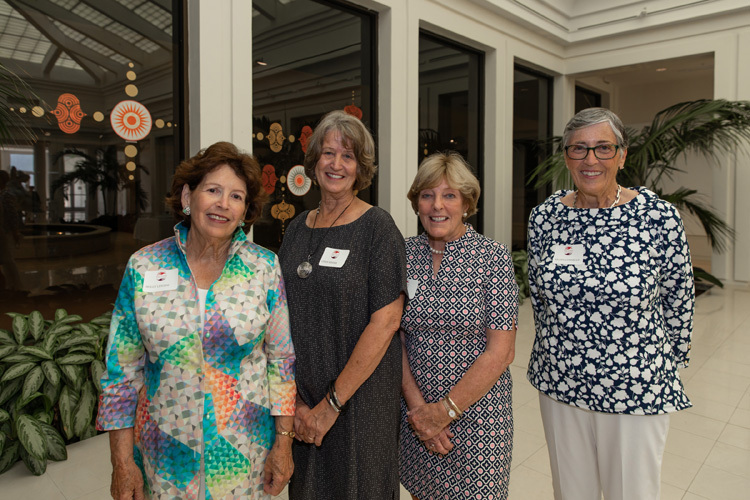 Flood also noted that this year’s Memory Garden was dedicated to the late Pamela Crowley, former district director of the Treasure Coast Chapter, who served the organization for 23 years. 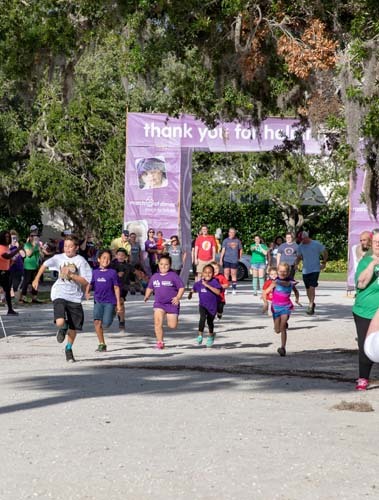 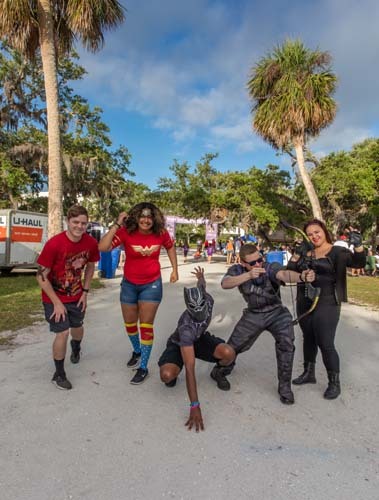 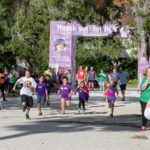 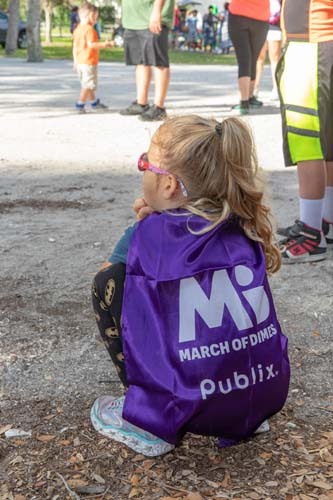 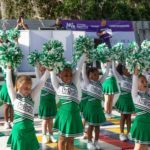 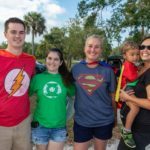 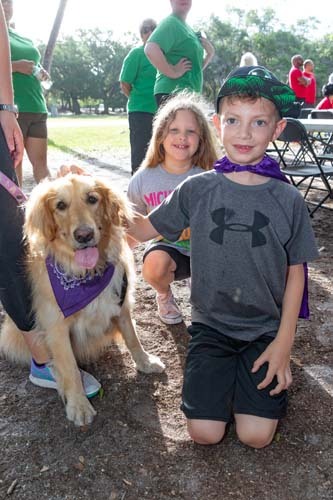 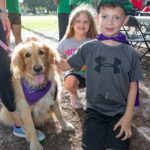 Youngsters in purple capes started things off with a Super Hero Sprint sponsored by Publix, before teams and individual walkers began their laps around Riverside Park.